In the future, rapidly advancing technology gives birth to giant robots known as "Labors," so named for their usefulness in heavy industry. However, this also gives rise to "Labor crimes," resulting the the need for a new branch of law enforcement equiped with and dedicated to the policing of Labors. 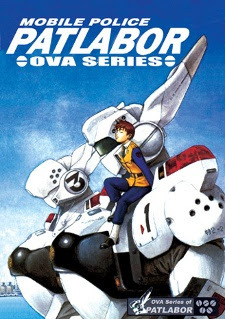 When Izumi Noa, a female police officer, becomes the newest recruit of Special Vechicals Devision 2, she and her top of the line "Patrol Labor" (or "Patlabor") Alphonse are swept into a series of adventures featuring crazed construction workers, eco-terrorists, and sea monsters.